← 3 Effective Ways to Direct Message Your Twitter Followers! 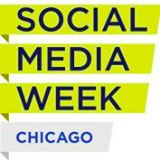 This entry was posted in Networking and tagged smwchicago, Social Media Week Chicago. Bookmark the permalink.